I went to Los Angeles for a week in May, and in there I have discovered the most amazing green tea products ever! 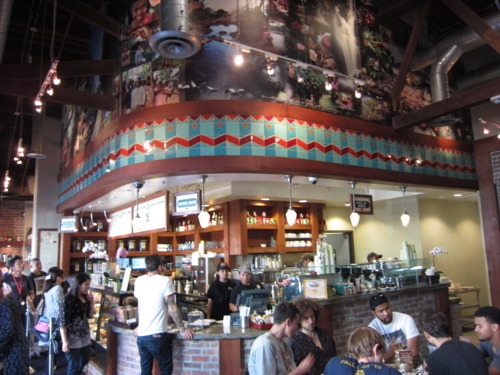 My brother, G, introduced me to Urth Caffe, which is an organic coffee company that carries its own brand of fresh roasted whole bean organic coffee and has 4 restaurants in Los Angeles. 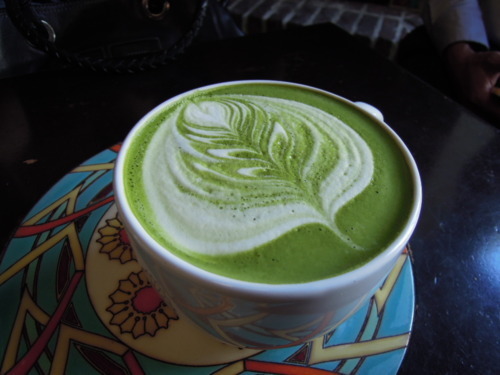 (1) I tried their Green Tea Latte and it was so unbelievably frothy and delicious! The Green Tea flavour was really strong and the milk was so warm and creamy. The cup of latte was gigantic (you probably can’t tell from the photo but the size should be equivalent to Venti at Starbucks), but drinking the whole thing was the best sensation one could ask for! 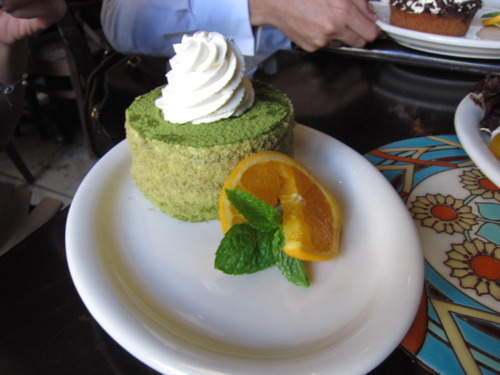 (2) The Green Tea Tiramisu was totally addictive! Not only did it have delicious green tea-flavoured cream, there were also white chocolate bits inside which added layers of textures to the whole dessert! 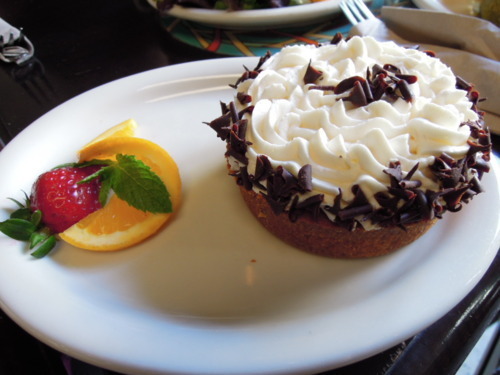 (3) Usually the Brits are better at Banoffee Pies, but this one below was such an amazing, adorable thing! The cream was smooth and heavenly, the bananas were gorgeously chunky and the base was buttery and crumbly! 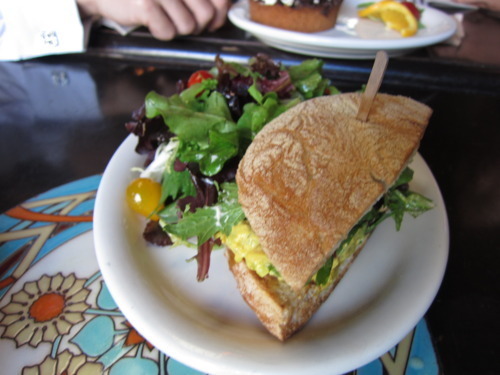 (4) I was really stuffed with desserts, but still managed to sample a bit of their Chicken Curry Sandwich with all natural chicken breast, raisins, onion, celery in a curry sauce w/ mayo on bread (US$9.50), which was well-spiced and really wholesome. Definitely something to go for if you like savoury foods as much as you like desserts!